Are you ready to improve your gut health? Do you want to find better ways to digest your meals and increase the health benefits of your food? And how would you like to improve your knowledge and skills to create delicious fermented food products to your specific taste? What I’m going to share with you will open your eyes and “reinvent” the way you look at eating food and preparing meals. I guarantee it. If you’re feeling stuck and battling digestive issues and wondering what you can do to take control of your body, then learning to ferment your own foods properly is the way to go. Learn to the history and health benefits of these amazing traditional foods. Follow step by step guides to making sauerkraut, beet kvass, kimchi, sourdough bread, milk and water kefir, kombucha and cultured vegetables. Discover how easy it is once you know the science behind these amazing foods. If you want a simple method that provides you and your family many health benefits, saves you money and allows you more opportunity to create tasty new recipes, then you are in the right place. Why Should You Learn From Me? First of all, because I teach from experience. I have run successful fermentation programs for years and have taught numerous practitioners and clients how to ferment. I have been a holistic nutritionist for 15 years and in the food industry for 25. I know food and I know food safety. I have also researched fermented foods extensively and can only marvel at this simple food preparation technique that is easy to do yet so beneficial to our overall health in so many ways. Fermented foods are truly a miracle of nature. “I love fermenting my own food. I had no idea it was so simple. What was best was getting to work with Lorene to find the best versions of fermented foods to help my digestion. I love the milk kefir but also find the goat milk kefir and coconut milk kefir are also great options. I feel better when I eat fermented foods. It is hard to explain, but everything just works better. My skin has cleared up and my focus and concentration has improved. 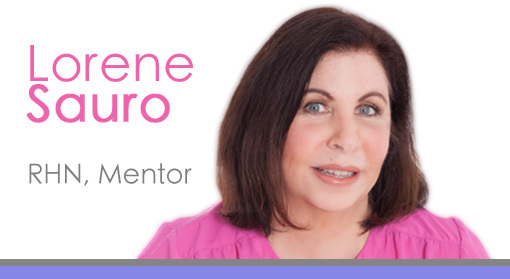 Thank you, Lorene for teaching me this wonderful skill”. I really want you to be able to have this tool to help you have better health. You work hard every day, and you may be thinking that you do not have time to make your own fermented foods. You will be surprised how easy it and it takes much less time than cooking. Researchers are investigating the foods themselves. This is no longer just about adding food-based probiotics. Each fermented food has a complex relationship with the good bacteria and other beneficial organisms that yield specific health benefits for specific conditions as well as helping general overall health, all because the nutrients in the foods have been fermented. The research is compelling. 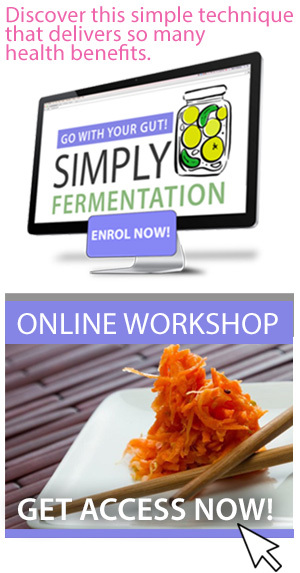 So what does The Simply Fermentation Workshop provide? It also includes the history of each type of fermented food and the health benefits that research has discovered. There are tips for making each type as well as tips for adding foods in the daily diet and suggested menu plans. The Simple Fermentation Workshop provides you with the complete knowledge you need to work with these foods, teaches the proper preparation techniques and helps you choose the fermented foods that will be best for you and your family. This is an amazing new skill to add to your repertoire. Each section has printer-friendly transcripts of the videos and the references for the research that exists for each type of fermented food which will help you develop your own recipes. You will not have to do the research or source hundreds of websites trying to discover the best methods or find the nutritional information. Starting today you can take charge of your food and your health. The sooner you apply the information from this workshop, the sooner you will benefit. P.S. If you have any question at any time, you can contact me to help you with your fermentation journey. P.P.S. There is no risk to you so why hesitate? Get started right now and get the entire program risk free for 14 days. If after 14 days, you don’t feel like The Simply Fermentation Workshop is right for you just email us and you’ll be 100% refunded. No questions asked.